While we traditionally celebrate New Year on the first of January, other cultures and customs celebrate the new year at different times during the year. Twinkling in the winter sky just before dawn, Matariki (the Māori name for the Pleiades, a star cluster in the constellation Taurus) heralds the start of a new year for many Māori. It rises in mid-winter, usually late May or early June in the Southern Hemisphere. According to tradition, Matariki has two meanings; ‘Mata riki’ which means tiny eyes, and it is also sometimes called ‘Mata ariki’ being the eyes of god. Māori legend tells of a time when Ranginui, the sky father, and Papatūānuku, the earth mother, were forcibly separated by their children. The god of the winds, Tāwhirimātea, became so angry that he tore out his eyes and threw them into the heavens, where they have been in existence ever since. 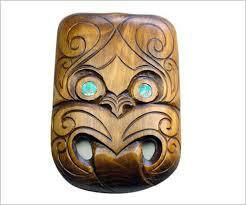 Historically, the star cluster was a navigational aid for Māori as well as an indicator of the coming seasons. If the stars were clear, it was a sign that the year ahead would be warm and productive. If they were hazy and closely bunched together, then a cold year would be in store. Traditionally, Matariki was a time to remember those who had died in the last year. But it was also a happy event as crops had been harvested and seafood and birds had been collected. With plenty of food in the storehouses, Matariki was a time for singing, dancing and feasting. Matariki, or Māori New Year celebrations, were once popular but gradually dwindled, with the last traditional festivals being recorded in the 1940s. At the beginning of the 21st century Matariki celebrations were revived and observing Matariki has become popular once again. Heaven-bound kites, hot-air balloons and fireworks help mark this occasion. For some tribes, the rising of Puanga (Rigel in Orion) signals the start of the New Year. Different tribes celebrated Matariki at different times; for some it was when Matariki rose in May/June and for others it was celebrated at the first new moon, or full moon, following the rising of Matariki. Since the revival of Matariki celebrations in the 21st century, it is now the new moon following the rising of Matariki that signals the beginning of the New Year. In 2015, Matariki started on 18 June and the annual Matariki Festival that signifies the start of the Māori New Year and also celebrates the rise of the Matariki constellation began on 20 June and ran until 19 July. 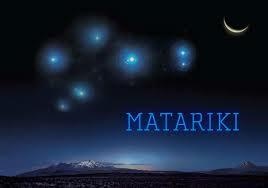 Matariki can also be seen from the Northern Hemisphere during with the best time to look for it being around November. 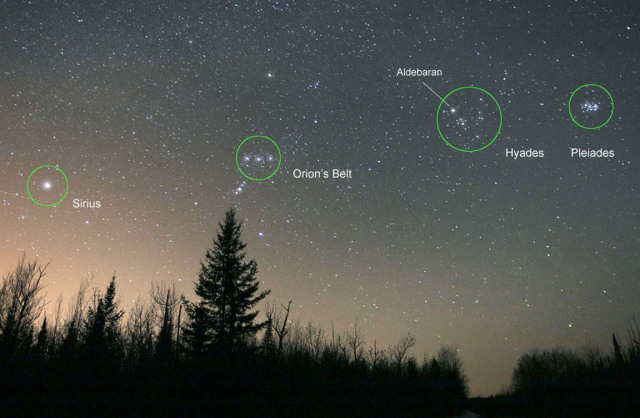 If you’ve found the constellation “Orion” before, it can help you to spot the Matariki or Pleiades. If you know where Orion’s Belt is (the three stars in a row), draw a line through the three stars to the right of the belt and you should see a v-shaped pattern of stars with a bright star in its midst (see diagram below). This v-shape is the face of Taurus the bull. You’ll spot the Matariki / Pleiades a little further past Aldebaran (the brightest star in the “v”, the bull’s eye). The Pleiades marks the bull’s shoulder. We’re constantly discovering and learning new things about New Zealand and the people who live here. I’ll try to continue sharing these interesting snippets of information as I come across them.